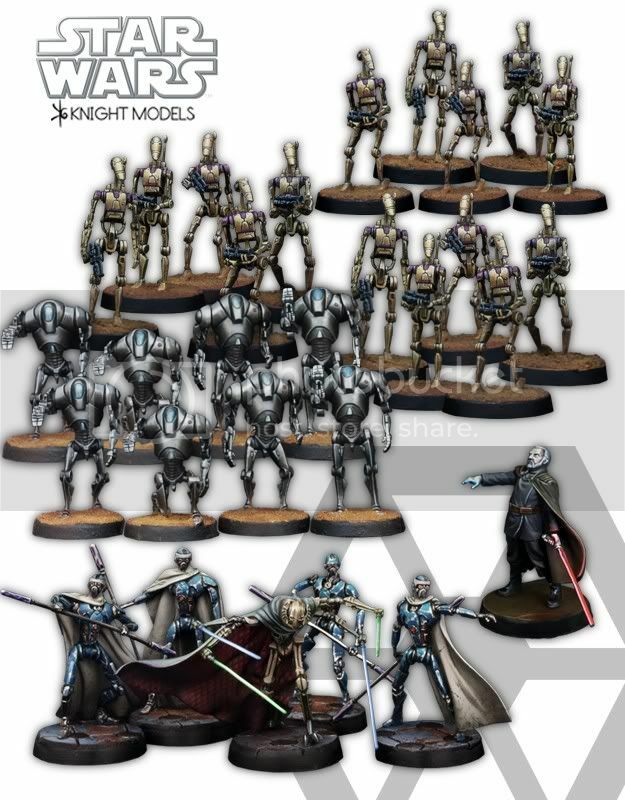 Our Site Sponsor Noble Knight Games has the entire line up of Knight Models Premium Star Wars Miniatures (to the Shaak-Ti, Ki-Adi Mundi realese) at 20% off. Best deal I've seen a la carte from a stateside seller, works out to just over $16 US a pop. I've ordered from them before and they are a real top notch outfit. 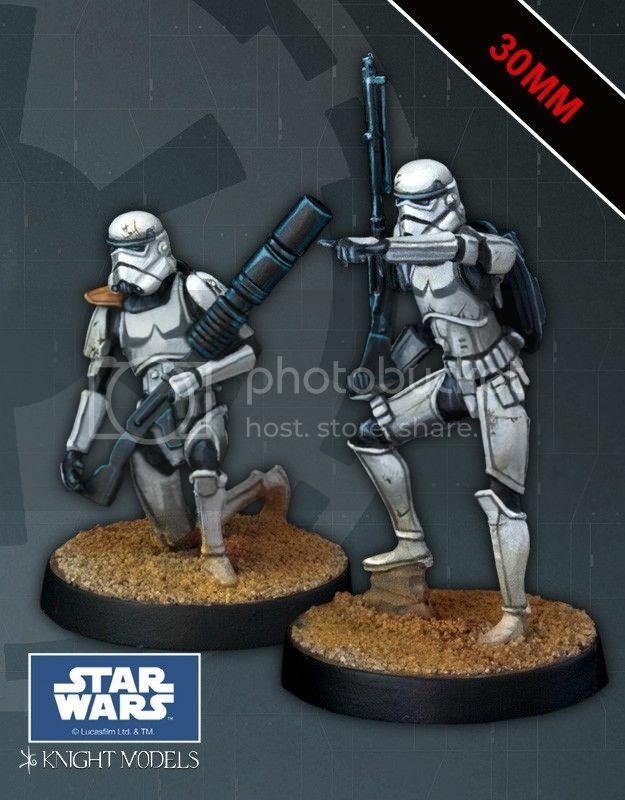 I've kinda glanced at this thread before and thought these were cool - but they're unpainted!?! Kind of an odd choice for kicking off the prequel side, can't wait to see what they come out with next month.. 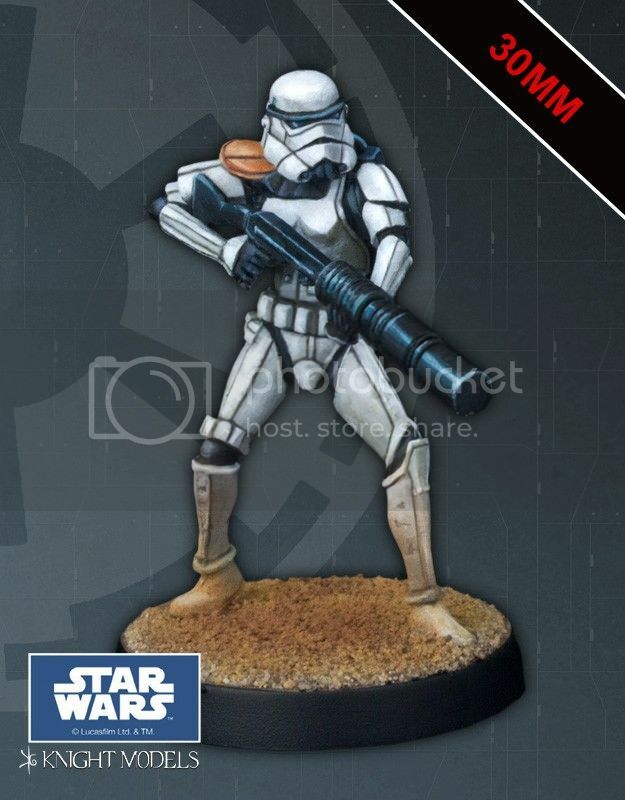 They have confirmed they will be releasing Clones before too long. Some interesting photos I ran across today. They were posted on 10-27 to confirm the latest release is shipping. 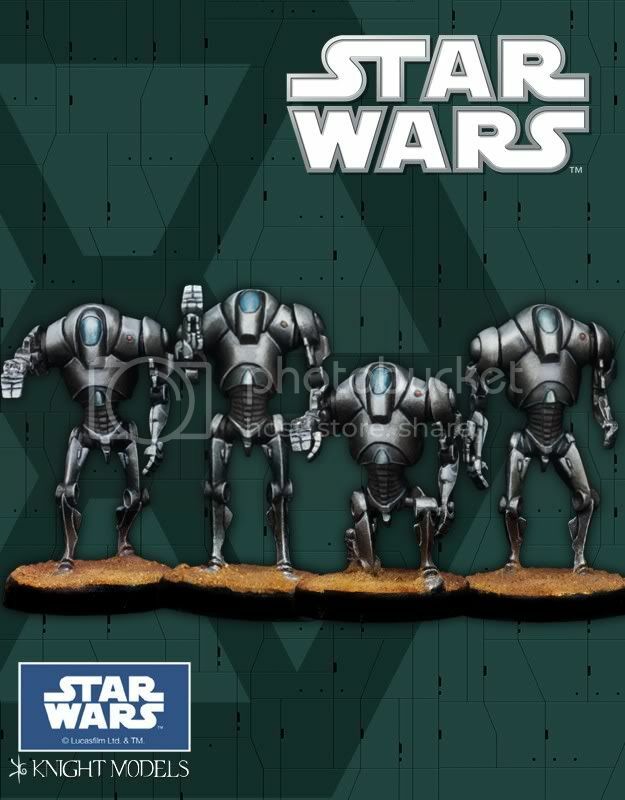 The torso and legs of the Stormies are resin and the rest is metal. 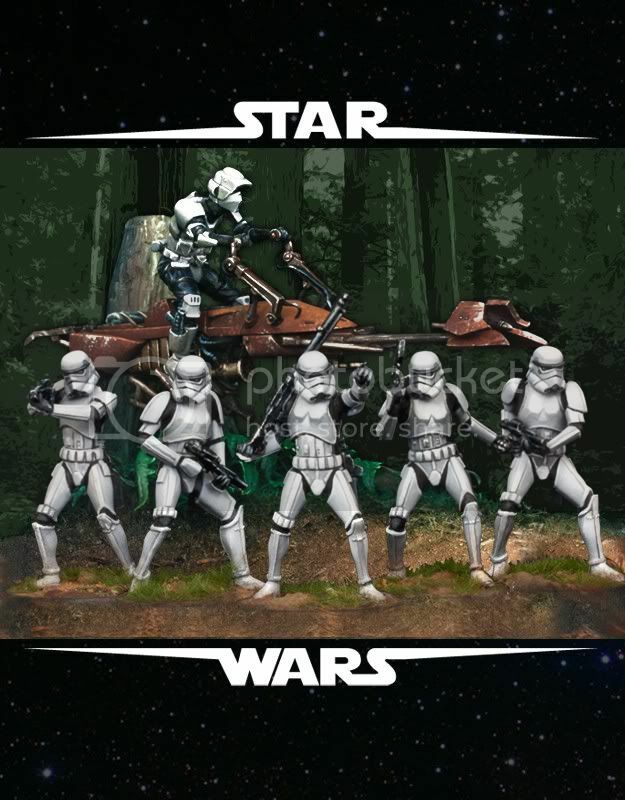 I can confirm from having these in hand that the Stormtroopers that are now shipping are actually all metal. 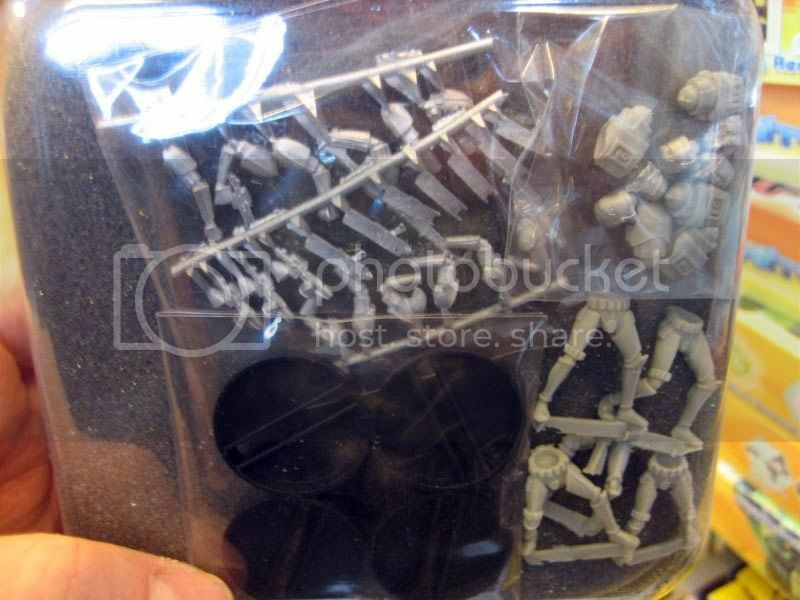 The first wave was part resin, it looks like only a limited amount of those were released. 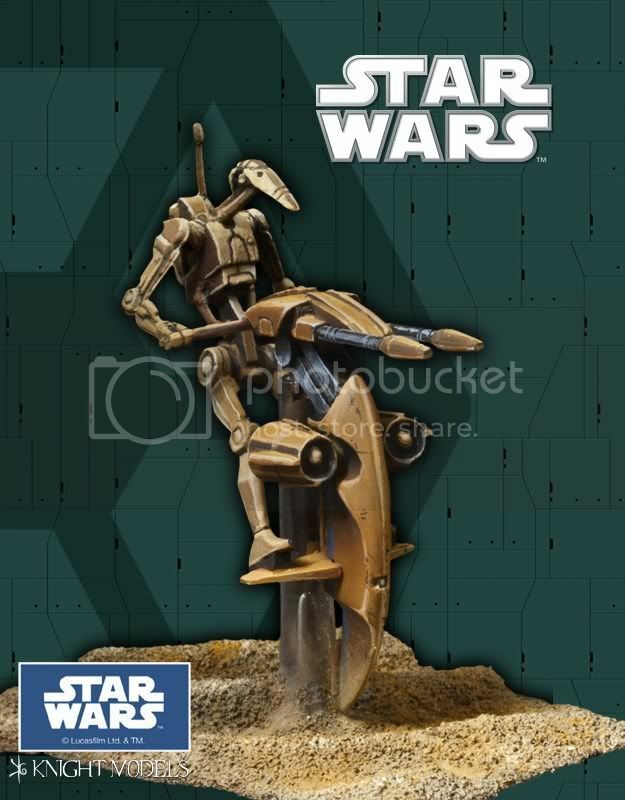 With the thinness of the ankles the all metal version is superior. Last edited by R5Don4 on Fri Nov 25, 2011 7:38 pm, edited 1 time in total. 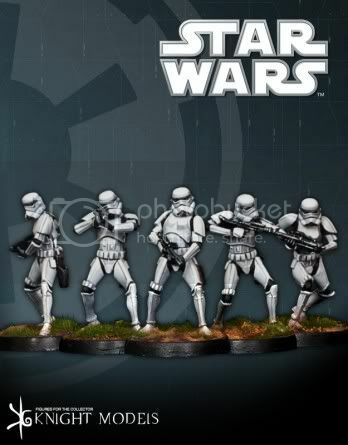 At long last Boba Fett and Stormtroopers! 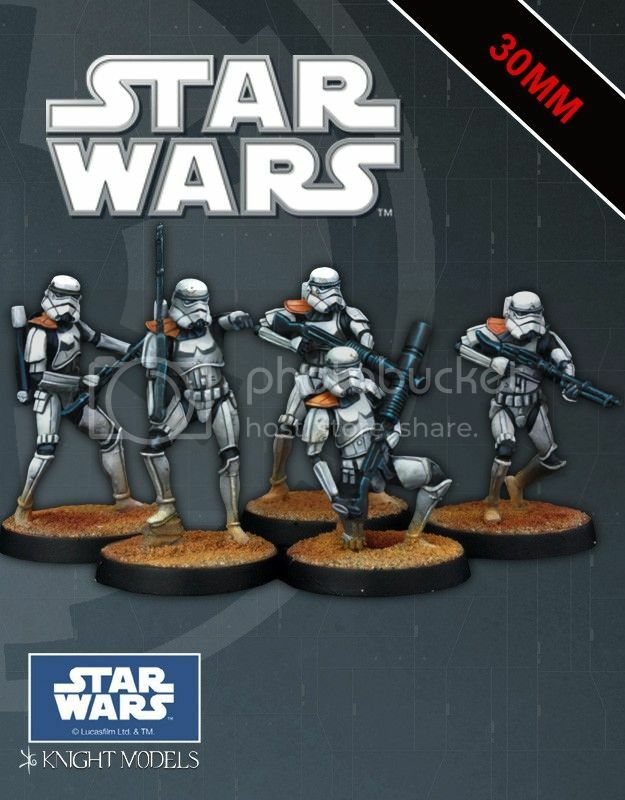 The best part is the Stormtroopers are 5 for less than the price of 2 and they can be configured in a number of ways. 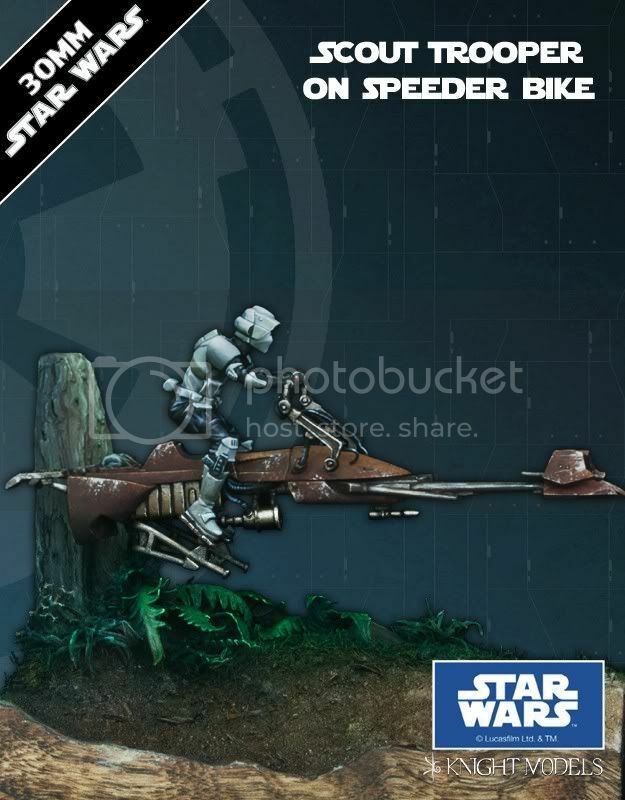 could this be in their upcoming releases? That's all folks! Both the 30mm line and 70mm line are officially discontinued. 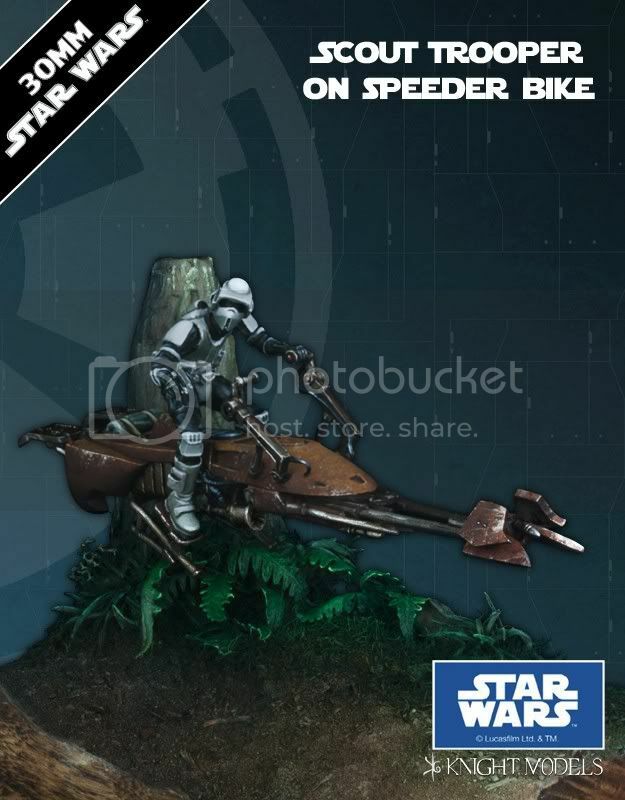 Hopefully my Sandtroopers will arrive from the one online vendor I was able to find that had them in stock. Now I need to start hording these bad boys. 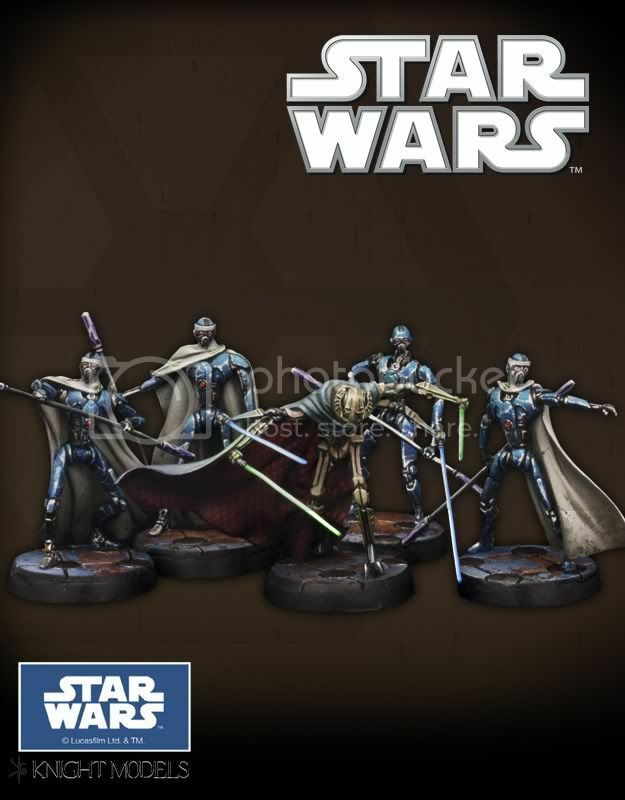 There have been several questions lately regarding the future of the our Star Wars line . 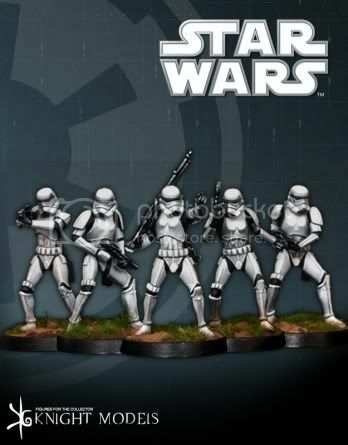 After a lengthy evaluation, Knight Models has decided not to renew the Star Wars license with Lucasfilm. We’ve had a long and fantastic run, but with the economic downturn, we have made the tough decision to discontinue our Star Wars lines and extend the licenses we work with new products as the LOTR , DC , BATMAN films, MARVEL and more . The license has officially ends ,while I know the news is disappointing, we wanted to make this announcement as soon as possible and thank you for being such great fans. It’s been a fantastic ride with the Star Wars community and working with Lucasfilm and you never know when we may circle back again!. 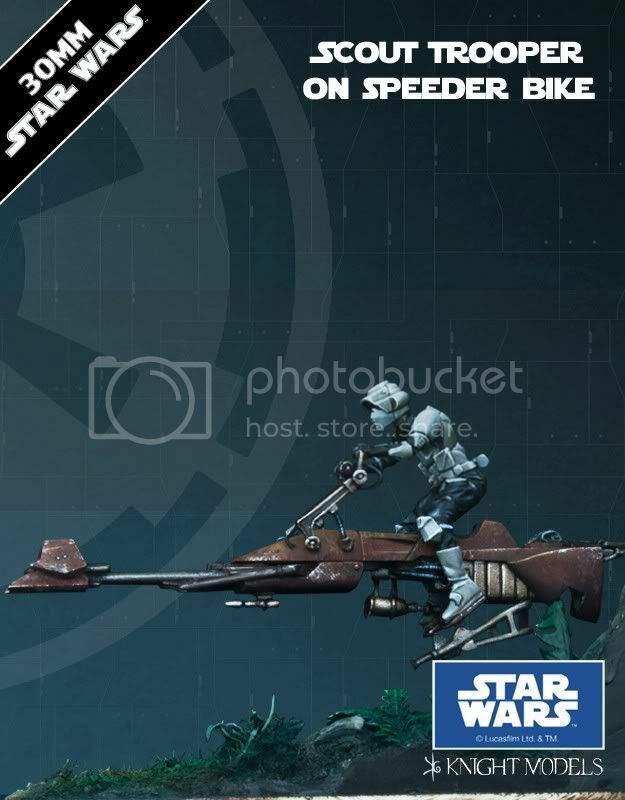 aka.. George Lucas really over values his licences rights. That's sad news. It was a great line of figures they had going there. 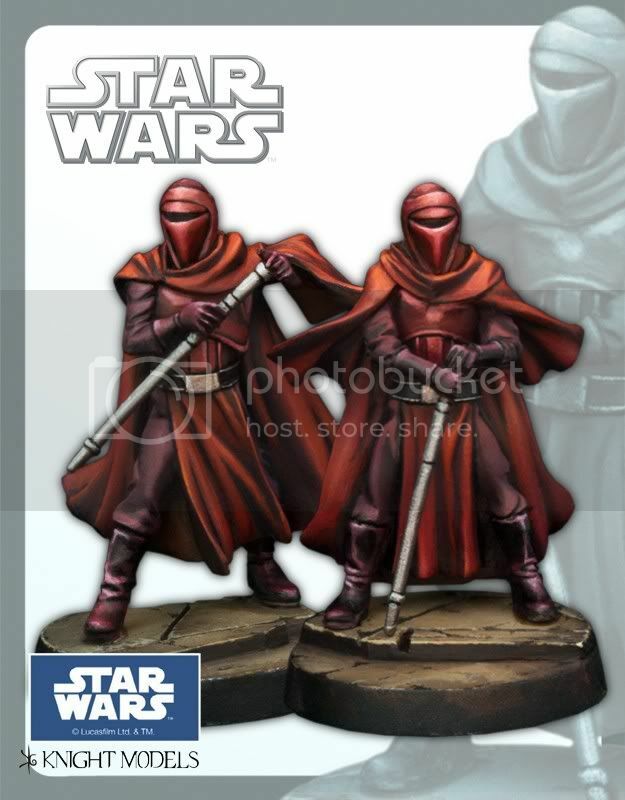 Knight Models informed us that Star Wars miniatures are no more available and that they will be no more produced due to the end of the licenses with Lucas Film. Collectors are invited to hurry up and purchase the last pieces available from our actual stock. Looking around the web supplies are drying up pretty fast. I'm glad I jumped on what I found. I would have like to have gotten more, but I'm thankful I at least was able to have gotten what I did. One last nail in the coffin of this line. 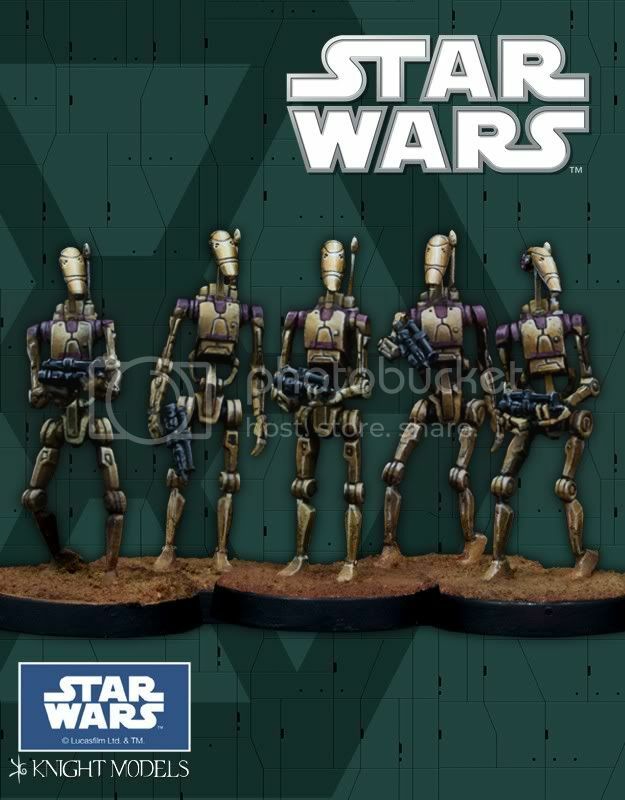 All images of the line have been removed from their website, previously they were relegated to the Discontinued section and customer service no longer supports cases of mispacked goods.